Notice to get the labels and styling you use a column called label or style respectively. 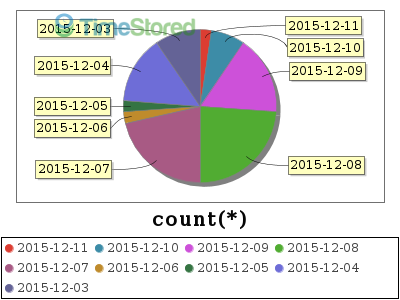 The full format is detailed on the sqlDashboards example page. 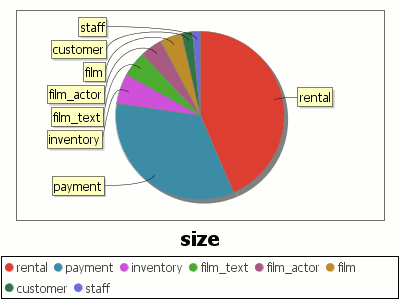 I came across this interesting post on ASCII pie charts for MySQL. 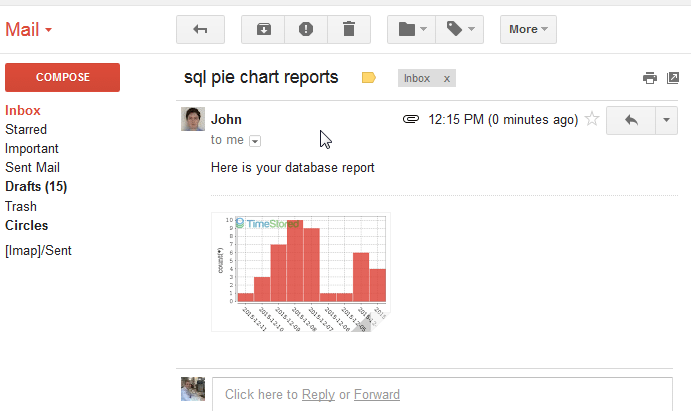 I thought I’d use our command line tool sqlChart todraw the database pie chart instead. Notice because sqlchart’s command line arguments closely resemble the mysql command line options, we can quickly change the calls from querying to graphing. You are currently browsing the sqlDashboards Blog weblog archives for the Uncategorized category.